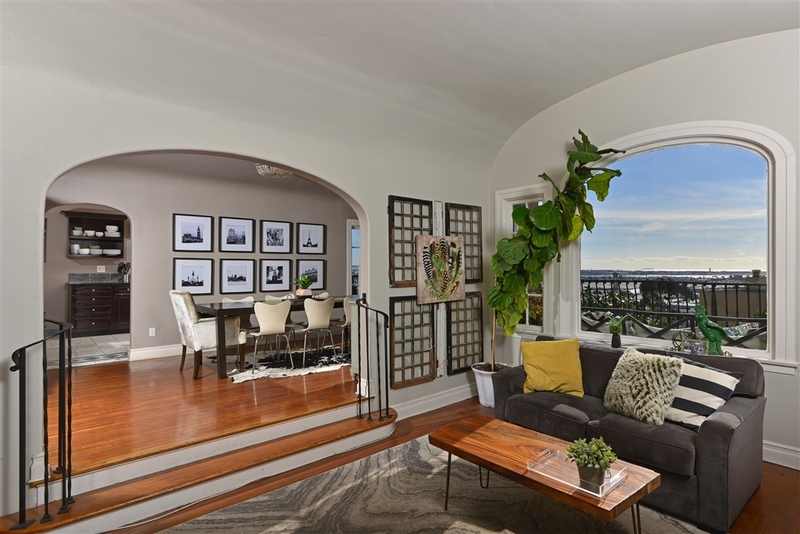 Welcome home to this Classic Mission Hills Spanish with glorious Ocean, Bay & Downtown views from almost every room! This 4BR/3BA gem boasts a remodeled interior yet retains its vintage architectural details; LR w/Barrel Ceiling & wood-burning fireplace, oak floors & picture windows. Features: Cooks' Kitchen w/Wolf gas stove, Luxurious Master Suite with walk-in closet, extra room could serve as a nursery, 2 BRs on the main level, the lower level offers a spacious 1 BR/1BA guest suite w/FR & sep. entrance, This home is located within the highly sought-after Grant K-8 school boundaries!